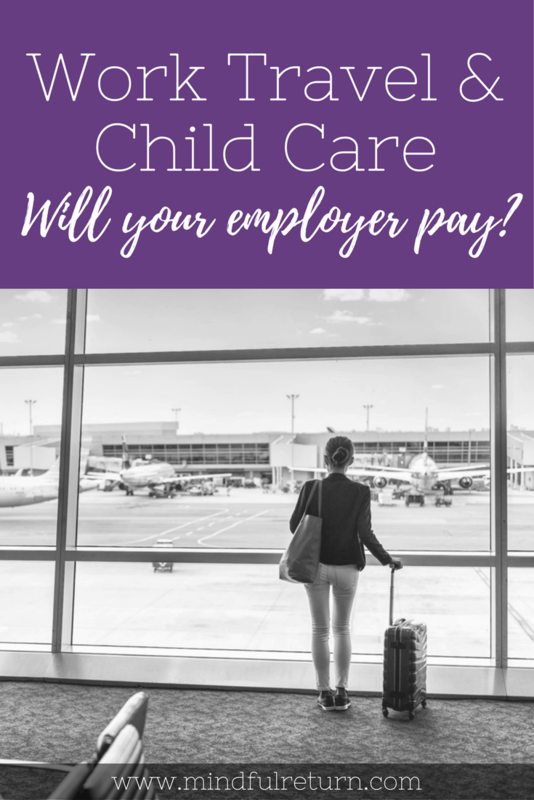 Work Travel & Child Care: Will Your Employer Pay? This question came from a new mom who is about to go on a business trip and is considering her child care options while she is away. 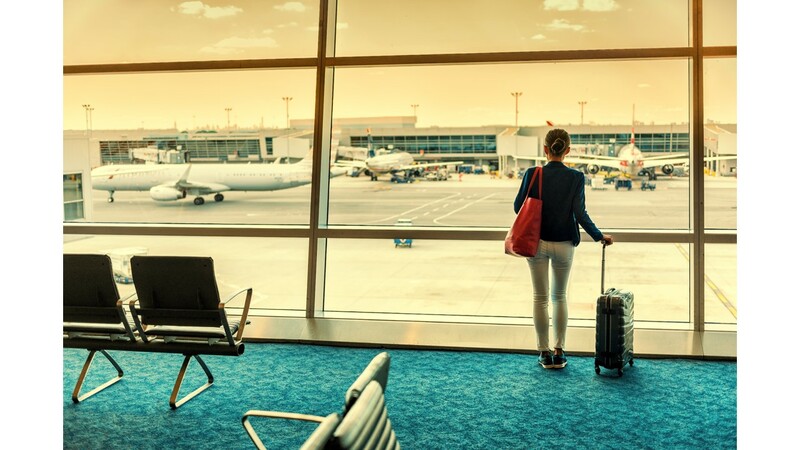 I would love to hear your experiences with work travel and child care expenses in comments below. Let’s give this working mama a hand! My question is whether in your research and work on Mindful Return, you have seen any precedent for asking an employer to cover extra childcare costs like these, when there are demands for work-related travel. I am thinking of asking my employer. But I would like to know if any other companies or organizations offer compensation. I would love any advice our resources you can recommend. Great question, mama! I’ve written about the jumble of emotions that comes with work travel + baby before (check out The Blues – and Bliss – of Work Travel after Baby). But I hadn’t yet covered work travel + cost of child care. Thanks for sparking this conversation. Back-Up Childcare Benefits Might Help: Some of the moms I work with use their company’s back-up care benefit for cases like this. Note that the back-up care hours don’t have to be during the day. Nor do they have to be during the work week. I’m not sure if that’s an option for you, but here’s a Mindful Return post on back-up care that explains more about how it works. Individual Negotiations Can Prove Fruitful: One Mindful Return alum is a highly-valued and successful university professor. When asked by leadership what might help make her life easier, she pitched them the idea of covering the cost of bringing her nanny to a required conference. They said yes. I also have a friend who was asked to speak at a conference in Europe. She included child care costs as part of her travel expenses. And the conference organizers paid it. I’ve heard a number of instances of women negotiating to have their company pay for a spouse, grandparent, aunt, or friend to travel with them, so they could bring baby along. Short answer: YES! I think this is a reasonable request for you to make. Knowing your child care is taken care of will help you focus on your work away from home. And it will promote goodwill between you and your employer. I think you’re smart to find examples and benchmarks, too. Have you ever attempted to negotiate with your employer the cost of work travel-related child care? Does your employer offer this as a benefit? Please share any information you might have in comments below! 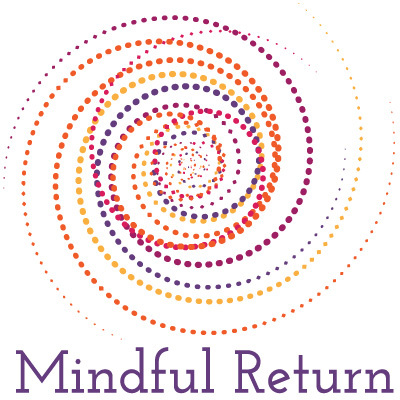 If you need more support heading back to work after maternity leave, please join me and other inspiring new working mamas in the next session of Mindful Return. I used to travel regularly for work when my son was under 2. My husband worked from 5 am to 2 pm so it was difficult for him to take our son to daycare in the mornings since they did not open until 6:30 am. Since my son was able to fly free on my lap, I often took him with me. Then I used my company’s subsidized Bright Horizons back-up care open in the city I was flying to. There was a daily copay of $15 so I paid that out of pocket. It worked out great because I didn’t have mom guilt of leaving him behind for long work travel and I could spend time with him in the mornings and afternoons. The backup care covered taking my son to a local daycare facility or having someone spend the day with him in the hotel room. As he got a bit older, I asked my employer to cover the cost of his flights or at least a portion of it and, surprisingly, they agreed. Other times, I would have my mom fly in to watch him and we would make a mini vacation out of it. Explore your options and make it a win-win for everyone! Truly excellent advice here, Natasha! Great idea to explore the back-up care options (like Bright Horizons) in the location where you’re traveling. Good for you for negotiating for the flights, too – and for your employer for covering them.